To heathen anglophones like us, Klagenfurt might sound like just another embarrassing bodily function that we've been made aware of in an episode of Jackass. In fact, it's a real place, and a real live city, no less! 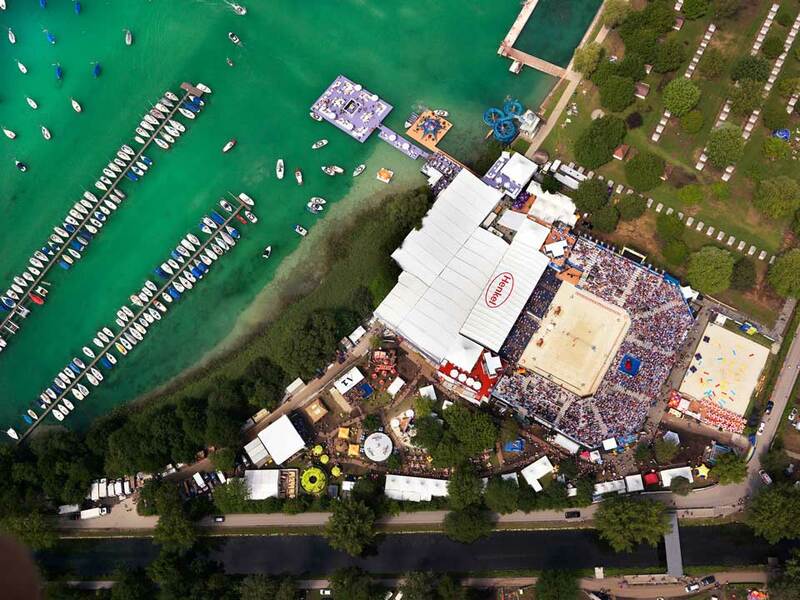 And it's here where they hold a FIVB Grand Slam beach volleyball event every year, on the edge of the picturesque Wörthersee. A couple years ago, I was on a train through the Alps from Vienna to Ljubljana, Slovenia and I passed along the Wörthersee. This pretty much means nothing to anyone, but I thought I'd mention I'd been there. It's really a fantastic place.